AFFORDABLE HOUSING IS WHAT WE DO! Since 2010, Magic City Management has provided you with quality, affordable housing. We offer a multitude of different homes at a price that will fit your needs and budget. We are located in Minot, North Dakota and proudly serve the local community and beyond, including Burlington, Glenburn, Sawyer, and Garrison. Our Affordable Housing isn’t the only thing that makes us Minot’s #1 Property Management Company. We provide our property owners with incredible service and value when listing with us. We use smart, effective marketing strategies that contribute to our near 100% occupancy rate. Understanding the needs of Military Families, we offer special lease and deposit exceptions to those serving our country. Don’t forget to ask us about our referral program and pet-friendly availability. 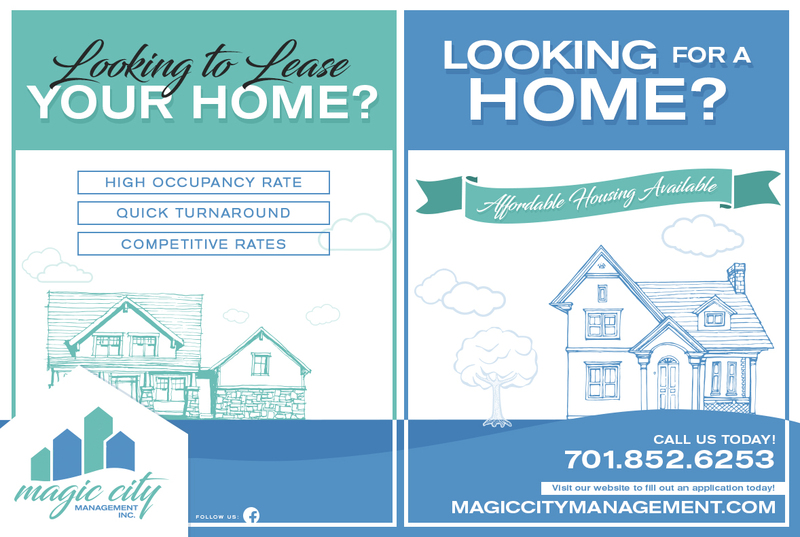 We invite you to see for yourself why Magic City Management is Minot’s #1 Property Management Company!